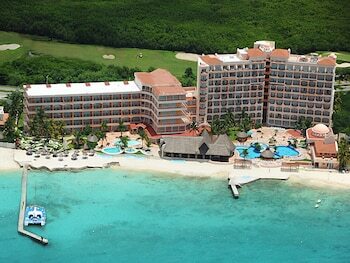 Located in Cozumel, El Cozumeleno Beach Resort All Inclusive is connected to the convention center, a 3-minute drive from Cozumel Country Club and Golf Course and 7 minutes from Maya Heritage Monument. Featured amenities include a computer station, complimentary newspapers in the lobby, and dry cleaning/laundry services. Event facilities at this resort consist of conference space and meeting rooms. Free self parking is available onsite. A stay at Suites Cancun Center places you in the heart of Cancun, steps from Las Palapas Park and 3 minutes by foot from Cristo Rey Church.